"A 'Family-Office' Stewardship and Service-Model that Subordinates Ambition to the Service of Others"
Optimize your current internet-assets by making certain your assets are visible, mobile-friendly, socially active and showing a lot of positive reviews. More than ever, consumers rely solely on their smartphones to search and find the products and services they need. They are "hungry to make instant connections". 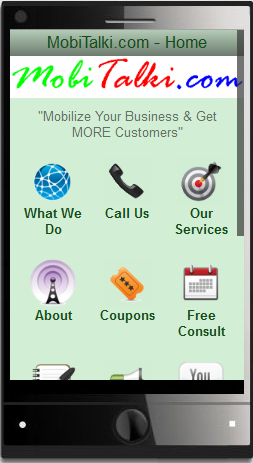 Our innovative mobile marketing strategies have been thoughtfully designed to help our clients take advantage of today's technology. changing consumer behaviors and habits in our rapidly advancing, mobile-centered society..
Our web-based systems enable us both to measure and manage results. As your "Chief Marketing Office", we empower you to stay focused on your business and to avoid the confusion, frustration and cost of doing it all yourself or trusting the work to in-house staff. We make it all easy, simple and affordable. Actionable, insightful marketing strategies that produce a measurable ROI.